Above-my autobiography (the second edition). Pothi.com is the publisher, and it's sold through the Flipkarts of the world. Reading a book is far easier than writing one. But I have somehow written more than one. But when someone casually says, "Any new book?" to me today, I wonder how I wrote any of those. My first was a text book. I had just begun teaching Marketing Research in Indian B Schools, and was struck by the need for one which used computerised data analysis rather than just theory. So I wrote one, with help from students of Kirloskar Institute, and staff there. Now, there will be a 4th edition this year, with cases written by IIM Indore students-coming soon. Then, a Services Marketing text was born while I worked at IIM Kozhikode. The third was a book on International Marketing, and the fourth, my autobiography, which was published in the Print-on-demand mode by pothi, an innovation in India at the time. Then came a book with Bhagyalakshmi Venkatesh, on Brand Management, a limited edition for IMT Distance Learning program. Now there are plans for an edited book on Digital Marketing Cases from India. 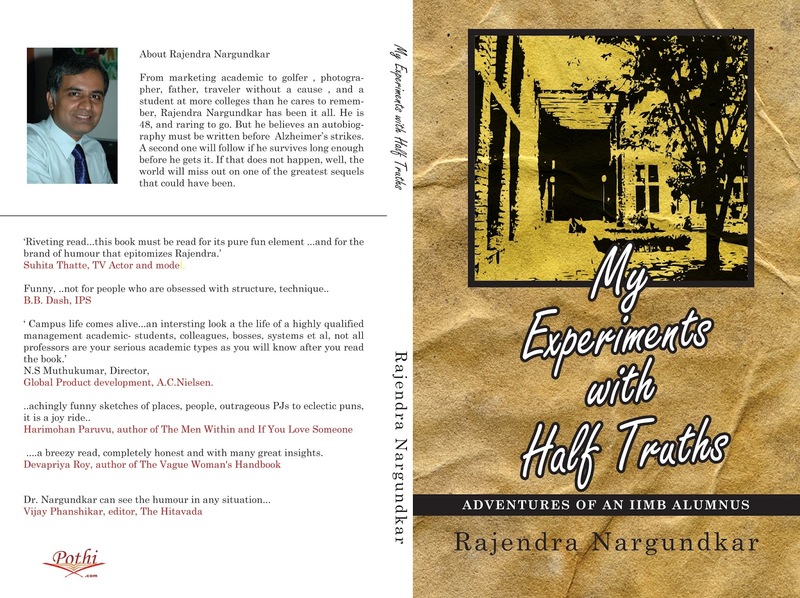 Some of my alumni friends from IMT Nagpur and elsewhere have contributed.